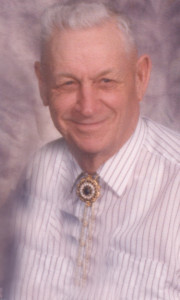 Mardell Eliason was born to Roy and Amanda (Brynjulson) Eliason on April 6, 1927 at rural Canton, SD. She attended rural grade school and graduated from Canton High School in 1945. She worked at Iowa Public Service and later was a bookkeeper at Farmers Coop in Canton. She married Harlan Hanson on Nov. 6, 1948. They farmed in the Canton area and had one son, Mark Hanson. Mardell married Frank Antes on Dec. 20, 1975. They made their home in Winner where they were farmer/ranchers. While living in Winner, Mardell was active in The Arts Society and PEO. In 1994, Frank and Mardell retired and moved to Yankton. While living in Yankton, Mardell was active in PEO Chapter BT, Questers, Sons of Norway and Christ the King Lutheran Church. 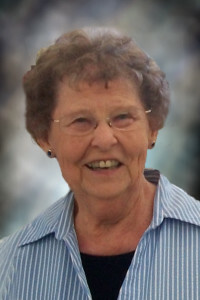 Mardell will be remembered for her ever gentle spirit by her sister, Lois Reade of Yankton, sister-in-law, Mary Eliason of Canton and several nieces and nephews as well as a step son-in-law, Jerry Goddard of Sioux Falls, her step granddaughter, Jodi Ferrini and her children, Diana, Cari and Vinnie Ferrini of Ohio. Andy was born May 25, 1923 to Bernard & Betsy (Halvardsgaard) Dice. He was the oldest of four children. He was raised in Lyman County and graduated from Presho High School in 1941. He married Donna (Larsh) on April 2, 1950 and raised their four children on the family farm northwest of Winner. He was a hard working farmer who ate many meals, that Donna packed, in the field with his family by his side. His love for the land and livestock filled his life abundantly. Andy served on many boards in the community over the years, including rural school board, township board, rural fire department and was one of the original members of the Tripp County Sheriff’s Posse. He was also proud to be a blood donor and would drop everything to make a flying trip into town to donate whenever there was an emergency. Andy loved to play cards, always had a joke to tell and spent many Saturday nights dancing with Donna!